We’d love your help. Let us know what’s wrong with this preview of Vegetables Rock! by Stephanie Pierson. If you're confused about going veggie, here is the perfect resource for basic nutrition information, great tips, a helpful Q&A, and recipes for vegetarian meals even nonvegetarians will love! Vegetarianism can help the environment, raise your consciousness, and make a cow very happy. But for teenage vegetarians--and perplexed parents--there seem to be more questions th If you're confused about going veggie, here is the perfect resource for basic nutrition information, great tips, a helpful Q&A, and recipes for vegetarian meals even nonvegetarians will love! 60 delicious recipes--all made with ingredients from your local supermarket! 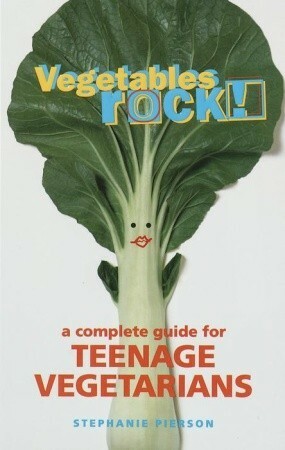 To ask other readers questions about Vegetables Rock!, please sign up. Be the first to ask a question about Vegetables Rock! I'm not a teenager, but I've been vegetarian for quite a few years now and this book is just awesome. Really yummy sounding recipes, fantastic advice and all very simple and straightforward. Great for confused parents, new and old vegetarians. Only downside is having no pictures!